Apple approved the update to Subnet Plus! 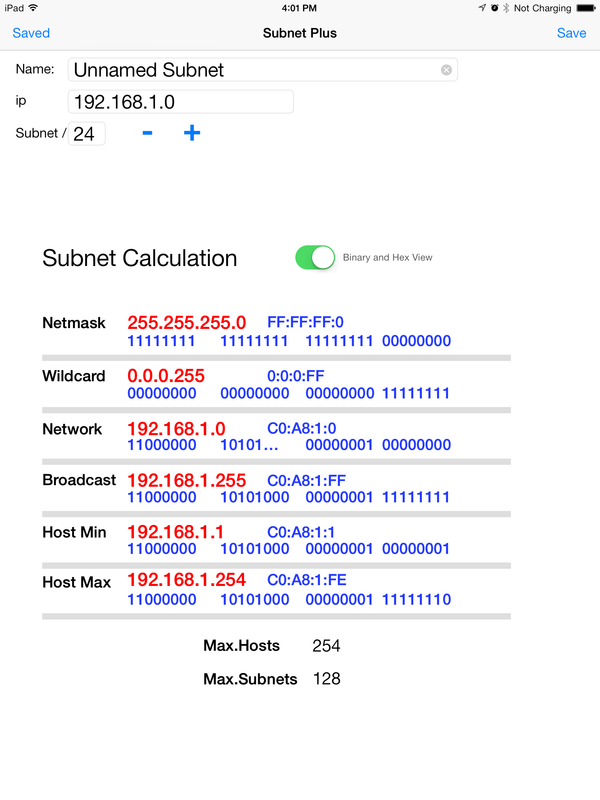 Subnet Plus version 1.1 is now a universal app that works on both the iPhone and iPad. I also added the annoying code all developers add these days, that asks you to rate the app after you use it a few times. Please take a moment to rate the app if you use it. Currently working on an update of the Subnet Plus subnet calculator app. Now going from iPhone only to Universal.